Lord James Stewart, the Earl of Moray, was born at the Castle of Dunnottar (1), now one of the most spectacular ruins in Scotland, situated about two miles south of Stonehaven in Aberdeenshire. Overlooking the sea, it is an almost impregnable mediaeval fortress. Quite why James was born there is unclear, as his mother was Margaret Erskine, Lady Douglas, and the Castle was in the possession of the Keith family, the Earls Marischal. It’s possible that Lady Margaret was visiting with James V, who was definitely there in 1531 (the likely year of James’ birth), exempting Marischal and his men from certain types of military service. 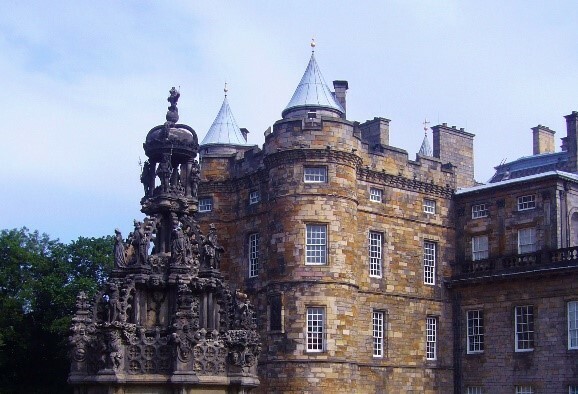 James V was happy to recognise his numerous illegitimate children and Moray and his half-siblings spent time in all of the royal palaces, including the Palace of Holyroodhouse (2) in Edinburgh. Holyrood, which was extensively remodelled by James V, is today, Her Majesty The Queen’s official residence in Scotland. In the heart of Edinburgh, it is well worth visiting. It was at Holyrood that Lord James was married in 1562, to Lady Agnes Keith, daughter of the Earl Marischal and granted the earldoms of Mar and Moray. It was also at Holyrood that the murder of David Riccio took place, an event that Moray almost certainly knew was going to occur. Although in the lower ranks of society people did not generally travel huge distances, amongst the upper classes in Scotland, travel to France and other European countries was frequent. Moray may well have attended university in Paris for a short period, after delivering his half-sister to the French court in 1548. He also visited France in the train of Marie of Guise on her visit to Mary, Queen of Scots in 1550 - 1551. The party returned via England and it is probably at Westminster (3) or Whitehall, that Moray first became acquainted with some of the leading lights of the Protestant court of Edward VI. These men would later become his allies - Sir William Cecil, later chief Secretary of State to Elizabeth I, Sir Henry Killigrew, and others. Even more importantly, one of the chaplains at the English court was the Scotsman, John Knox, who was breathing a radical version of Protestantism into the upper echelons of English society. Moray was distinctly impressed by him. The Tudor Palace of Whitehall has now disappeared, as has the mediaeval Palace of Westminster. The only exception is the 14 th century Westminster Hall which still forms part of the Houses of Parliament and can be visited as part of a guided tour. Lord James, and others, impressed with what he had seen of John Knox, invited him to return to Scotland. It was at Perth (4) that Knox began to attract large crowds, keen to hear his new doctrines as he preached in the Kirk of St John. His inflammatory denunciation of idolatry gave rise to rioting in the town, and widespread destruction of Catholic places of worship. Lord James, although becoming increasingly attached to the Protestant faith, was still working with his stepmother, Marie of Guise, and tried to quell the disturbances, but to no avail. Relationships between Queen Marie and the Lords of the Congregation now deteriorated. Lord James formally joined the Protestant Lords and led an army which captured Stirling Castle (5). Stirling was one of the most important strongholds in Scotland, guarding the crossing of the Firth of forth. Two of the most important battles in Scottish history were fought beneath its walls – Bannockburn and Sauchieburn. It’s a stunning place to visit, the great Hall of James IV and the Palace block built by James V have been extensively restored and the Palace block, in particular, has been decorated as it would have been during the Regency of Marie of Guise. On Marie’s death, Lord James travelled to France to understand his half-sister Mary Queen of Scots’ plans for returning to Scotland. Having met with her, and formed the basis of a good working relationship, he showed his allegiance to the Protestant faith to be more important to him than his loyalty to his sovereign. On his return to Scotland, he visited England again to inform Elizabeth I and Sir William Cecil of his discussions with Mary. Nevertheless during the first couple of years of Mary’s personal rule, Lord James was always at her side. In 1562, she granted him the title of Earl of Moray, and he was at her side during her expedition to the North of Scotland, aimed at taming the power of George Gordon, 4th Earl of Huntly. Moray was at Inverness Castle (6) when the keeper of it, Sir Alexander Gordon, refused to allow the Queen to enter. 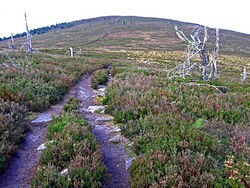 The insubordination of the Gordons was soundly punished when Moray led the Queen’s troops to a decisive victory at the Battle of Corrichie (7), which took place near Meikle Tap in Aberdeenshire. There is a commemorative plaque on the site of the battlefield. Moray’s relationship with his half-sister deteriorated when he objected to her marriage to Lord Darnley. Following the Chaseabout Raid in 1565, during which the Queen’s forces scattered those of Moray and his colleagues, Moray was forced into exile in England. He spent some six months in Newcastle (8), although where exactly he lived is unknown. In his absence, although with his knowledge, a number of the Lords, led by Darnley, decided to assassinate the Queen’s secretary, David Riccio. Moray arrived back at Holyroodhouse the following day. Mary does not seem to have asked how he came to appear so quickly. Apparently reconciled with Mary, Moray was with her while she conducted a justice in Ayre based at Jedburgh (9). He remained with her whilst she lay there bedridden and close to death. It has been alleged that Moray was aware of the Bond of Craigmillar, which probably envisaged the death of Darnley, however there is no definite proof. Within a few weeks of Darnley’s assassination, Moray left for France. According to some accounts this was without Mary’s permission, but other records say she gave consent. He returned to see his sister in her prison at Lochleven (10), where they quarrelled bitterly. The Queen, having been forced to abdicate, Moray became Regent and led the troops loyal to the new King, James VI, at Langside (11) when Mary was finally defeated. Once the Queen was in England, Moray made a number of attempts to have her returned to Scotland, however, Queen Elizabeth was reluctant to permit this, fearing she would executed. In the autumn of 1568, Moray travelled to York (12) to attend a commission set up by Elizabeth I to investigate the circumstances of Mary’s deposition. Mary was convinced that the Commission was being set up to enquire into why Moray and the others had rebelled, whilst Moray had been assured that it would investigate the Queen’s alleged involvement in the murder of Darnley. 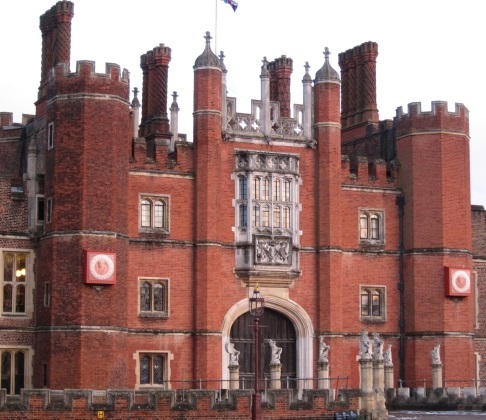 The Commission was transferred from York to London to Westminster (3) and Hampton Court. On his return to Scotland, Moray attempted to deal with the remaining members of the Queen’s Party. 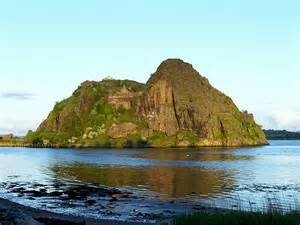 In particular he hoped to drive her supporters, headed by John, 5th Lord Fleming, out of Dumbarton Castle (13), which he besieged. 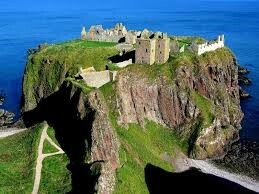 It soon became apparent that the Castle could not be captured, it having been relieved by supplies from a French ship. Moray withdrew, and on his return to Edinburgh broke his journey at Linlithgow (14). 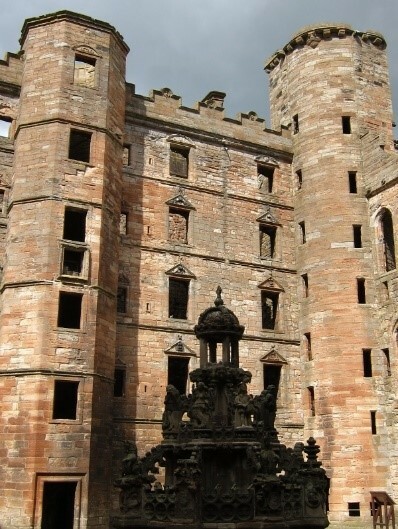 He did not stay in the beautiful Palace of Linlithgow, the haunting ruins of which may still be visited, but in a private lodging. Setting out from Linlithgow on either the 21 st or 23 rd January 1570, Moray was shot and killed by Sir James Hamilton of Bothwellhaugh. He died later that day and his body was conveyed to Edinburgh where it was interred in the south aisle of High Kirk of St Giles (15) on Tuesday, 14 February, 1570. A monument was erected at a cost of £133 6s 8d. with a brass plate to the value of £7, carved at a cost of a further £20. The inscription was composed by Moray’s friend, the scholar, George Buchanan. 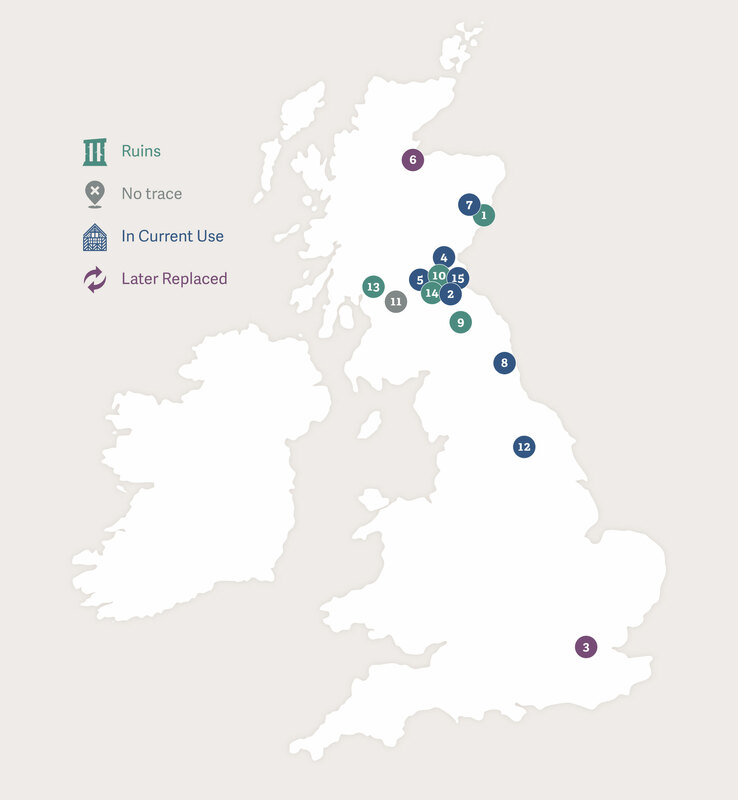 The map below shows the location of the places associated with Regent Moray discussed in this article.